In the early 19th Century, King George IV 's flagging health had inspired the Royal Chef, H.W. Brand, to create an essence of chicken beverage to boost His Majesty’s physical condition. After retiring from the Royal kitchen in 1835, Mr. 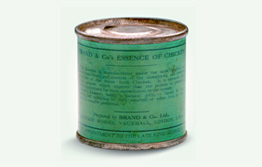 Brand concocted BRAND’S® Essence of Chicken for commercial sale as food for convalescence and invalids. Renowned in the British Empire, BRAND’S® Essence of Chicken found its way to the Far East in 1920s, and had since gained popularity all over Asia. Sought after for its wholesome goodness, BRAND’S® Essence of Chicken has since sold over 150 million bottles worldwide, which is more than 2650 Olympic sized swimming pools. With the launch of BRAND’S® Bird’s Nest in 1982, BRAND’S® created the world’s first bottled bird’s nest, making a traditional Chinese delicacy convenient to consume. BRAND’S® Bird’s Nest is prepared using traditional recipes with no artificial colouring, flavouring and preservatives. BRAND’S® Essence of Chicken Herbal Range launched. Launch of BRAND’S® Veta, the first fruit based essence sold in Thailand. 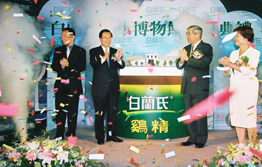 BRAND’S® first museum was launched in Taiwan. 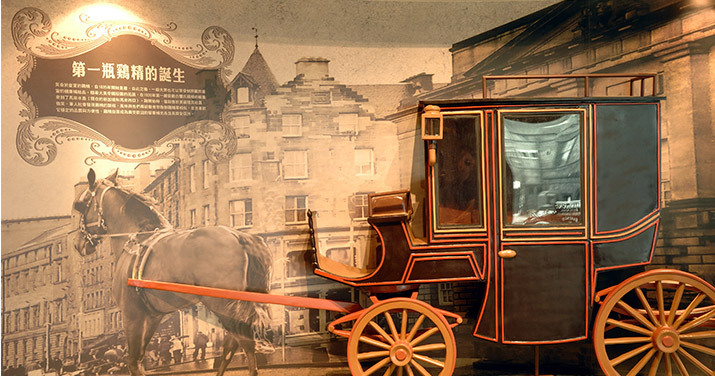 It was later rebuilt and is now the largest BRAND’S® Health Museum in Asia. BRAND'S® Health Supplements Tablets with Essence of Chicken Range launched. BRAND’S® scientific expertise and research led to the launch of BRAND’S® InnerShine®, which unlocks the secrets to nature’s finest ingredients and helps women to care for their beauty needs through superior health nourishment. 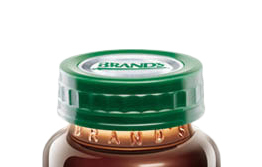 BRAND’S® introduces the world’s first triple safety feature bottle cap for its core bottled products. 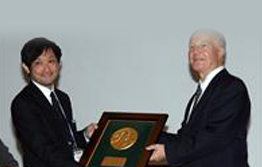 In recognition of BRAND’S® Essence of Chicken’s product efficacy, BRAND’S® was awarded the Grand Prize by the international scientific panel of the International Physiological Anthropology Design Award. BRAND’S® celebrated their 175th anniversary with a year-long celebration throughout the region. With the launch of “Hope In A Bottle” project, BRAND’S® recycled its product bottles to create building material for the construction of homes in Thailand and China for the less fortunate. Top chefs designed and created exotically enticing dishes at the first BRAND’S® Golden Bird’s Nest Banquet held in Hong Kong and Singapore using BRAND’S® Golden Bird’s Nest. 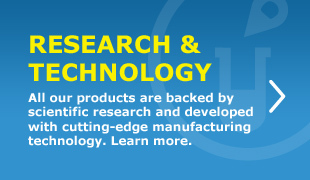 In the same year, BRAND’S® Brain Research Centre was also launched in Singapore to study the health promoting effects of BRAND’S® bioactive compounds. In August 2010, BRAND’S® officially opened the world’s largest bottled bird’s nest manufacturing facility at Pinthong Industrial Estate in Thailand to support growing consumer demand. 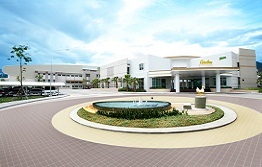 BRAND’S® Discovery Centre, a 1,087m2 museum, was launched in Pinthong Industrial Estate, Thailand, showcasing the company’s heritage, product history, production processes and technology. Open to both members of the public and to corporate visitors, BRAND'S® Discovery Centre have three experiential zones featuring memorabilia from the BRAND'S Essence of Chicken, BRAND'S® Bird’s Nest and the BRAND'S Veta range.